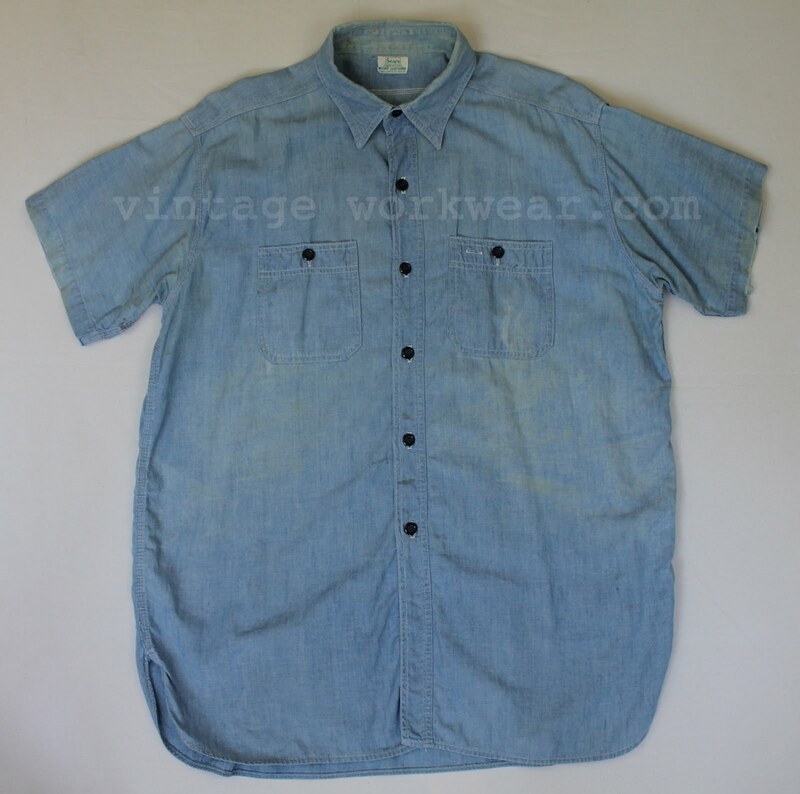 Looks like it's time to break out the summertime wardrobe with the temperature hitting the upper 90's in the west San Fernando Valley this week. 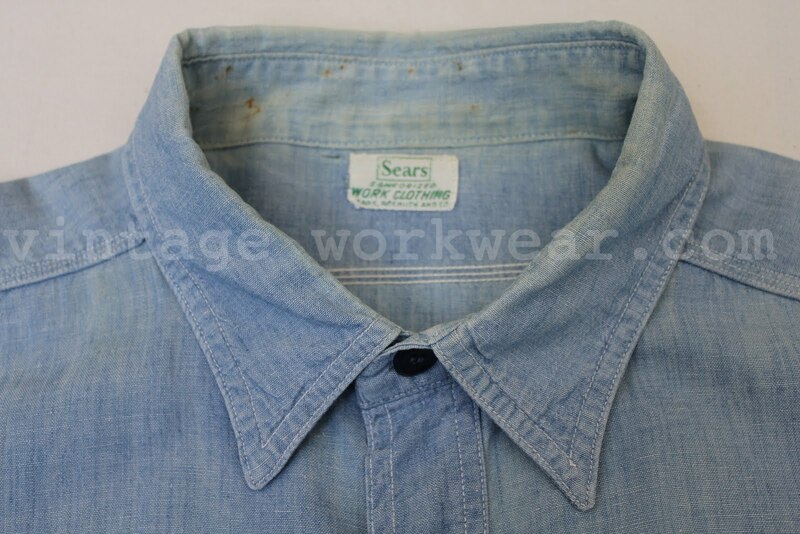 Staples include lighter weight denim jeans & khakis, chambray shirts and a variety of hats & bandannas to help beat the heat. 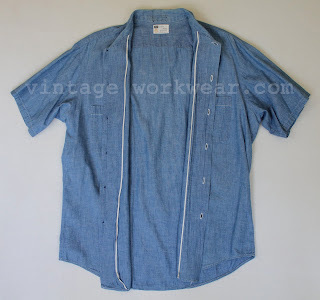 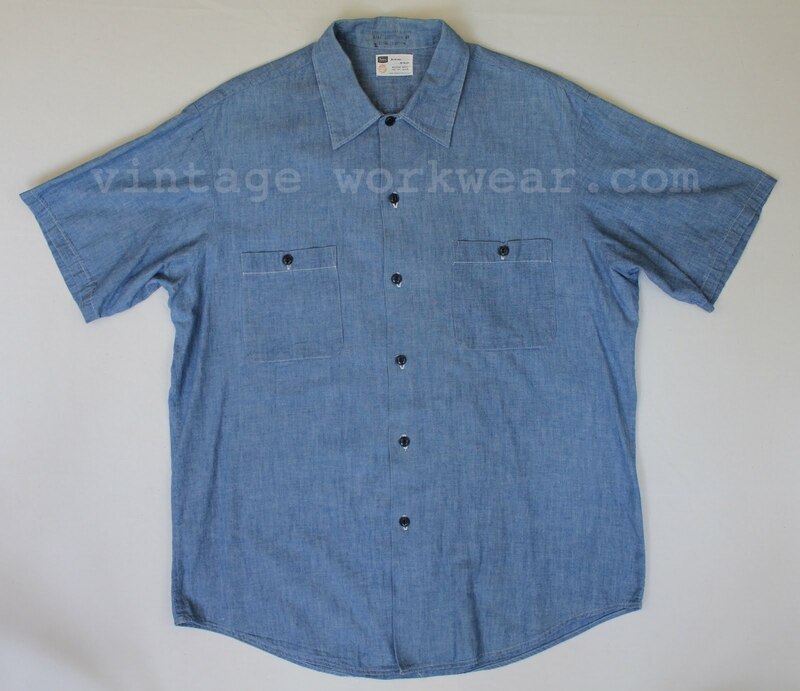 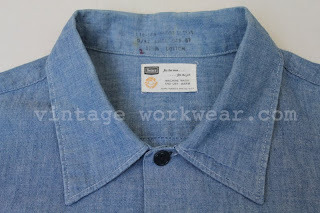 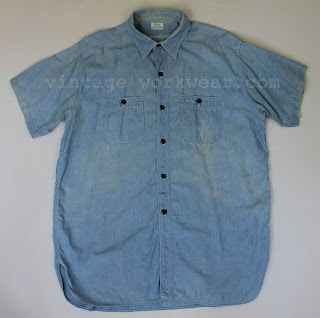 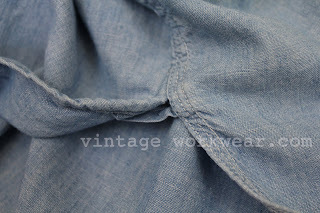 Today we start off with a couple of vintage Sears short sleeve chambray work shirts from the wardrobe, more summertime essentials from the vintage workwear collection to follow.